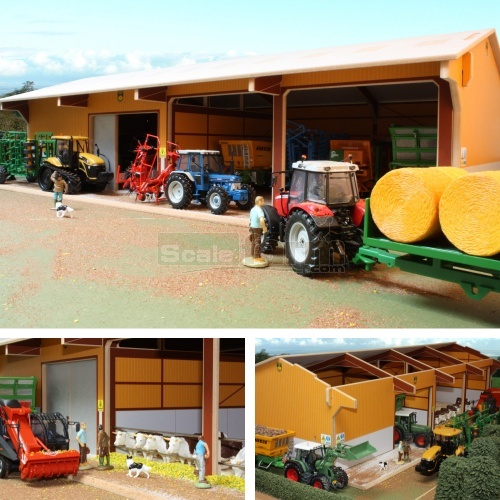 Extra large storage shed with 4 large versatile bays. Half the shed can be left as open storage or turned into loose boxes with metal rails as required. The remaining bays are accessed through 2 permanent sliding doors making it ideal for crops or as a secure fertiliser store. Tractors and accessories show not included.